Click here to check out our favorite exercises! Tabata-style, high intensity madness! Sprints, burpees, box jumps, and more sweat stains than you can shake a stick at! Brooklyn Badasses converge on Grand Army Plaza for circuit training that's pretty much illegal in the other four boroughs. Bodyweight exercises, sprints, and a ton of high fives are on the menu! 6:30 AM in MacDonald Park. Bootcamp-style core body work. High fives, hugs, and all smiles. The Kings of Queens rule over MacDonald Park, the best space in the best borough for all the exercises we can fit into 30 fun-filled minutes. Fridays rotate monthly between the hills, bridges, and stairs of NYC. Let's elevate ourselves and each other! Weeknight and weekend workouts! 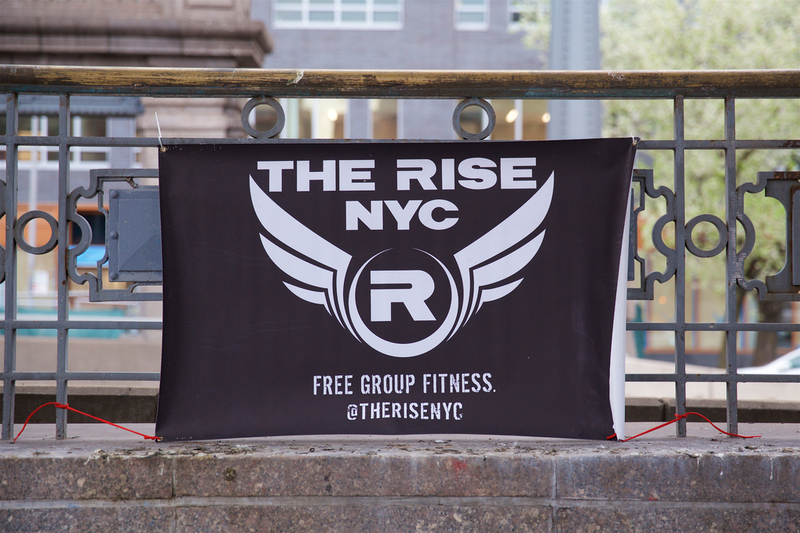 Your chance to experience a Rise workout after hours!